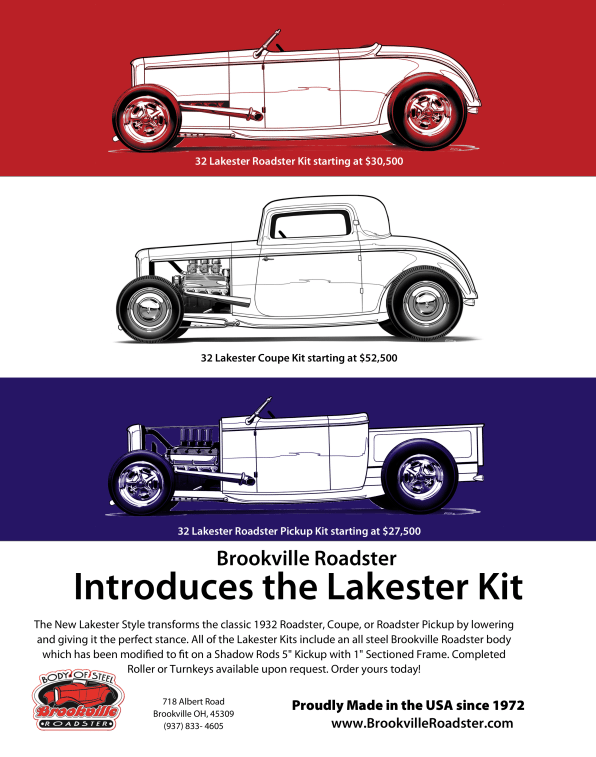 Brookville Roadster is proud to present a new style of 32: the Lakester. The Lakester style transforms the classic 1932 Roadser, Coupe, or Roadster Pickup by lowering and giving it the perfect stance. All of our Lakester kits include an all steel Brookville Roadster body which has been modified to fit on a Shadow Rods 5″ Kickup with 1″ Sectioned Frame. Completed Roller or Turnkeys available upon Request. Contact us today to find out more or to order yours today!